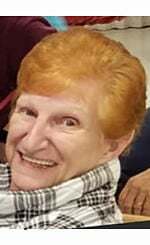 Janesville, WI -- Patricia Marie Henry (Fryda), 72, of Janesville, passed away on December 19, 2018 in Quartzsite, AZ. Patricia Henry was born in Walworth, WI, to Lucinda (Phil Zanoni) and Fayette Speer on May 17, 1946. Pat found her soul mate and true love, Edwin Henry, and married him in 1990. After they both retired from GM in 1998, they purchased a standard farm in Neillsville, WI. They converted it into a organic farm, and after several years sold it to follow another dream. Pat and Ed then went on to travel the U.S. in a motor home, and just enjoyed life. After they made many memories and friends along the way, they decided to settle down again in Janesville to enjoy the grandkids. As the winters started to get too cold for them, they soon moved down to Quartzsite, AZ, and spent the winters there. Pat is survived by husband, Edwin Henry; children: Leah (Jeff) Osborne, Craig Fryda, Shane (Amanda) Henry, Carl (Heather) Fryda; ten grandkids; and three great-grandkids; and her favorite child of all, her dog, Benji. Pat is preceded in death by Lucinda and Fayette Speer; Phil Zanoni; Randy Speer (passed away January 16, 2019); and Rodney Speer.